When I was a kid, before there were JRPGs in my life, there was anime. And while JRPGs eventually became the thing I loved more, I loved anime for similar reasons when I was most into it. Its inspirational characters, gorgeous animation and stories I couldn’t find anywhere else kept me coming back to it at different times in my life, whether it be for the childhood inspiration magical girl anime provided or the darker side of the genre I found as an adult. As much as my relationship with anime has changed, I’m sure it led me on the path to JRPGs in different ways, from making me drawn to its visual style in games or introducing me to story styles that are some of my favourites regardless of the medium. Anime might be a smaller part of my life now, but these are five of the anime series I enjoyed watching that I can link a few of my JRPG choices to at different points in time. Sailor Moon had a profound impact on my life in my childhood, probably thanks to its mix of cool costumes and characters that were incredibly relatable all while still strong and powerful. Sailor Moon was my true introduction to anime and I loved it - it was weird, funny and serious with its protagonist Usagi being a massive crybaby who loved going to arcades and eating sweets, yet she was always there for her friends and faced every colourful villain thrown at her in the name of love and justice. This kooky and touching show spawned my love of the magical girl genre - Cardcaptor Sakura was another show I loved and want to go back to someday and it was probably with thanks to Sailor Moon that I also watched and enjoyed Madoka Magica in slightly more recent times, with my love of the same themes of watching these funny, strong girls in cool costumes save the world making them very appealing to me. 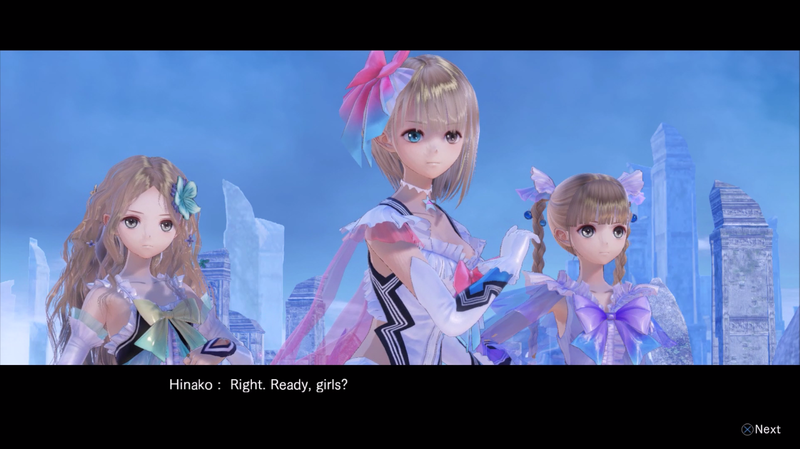 It’s thanks to these series and probably Persona that Gust’s JRPG from last year Blue Reflection was a complete no-brainer to me when it came out. 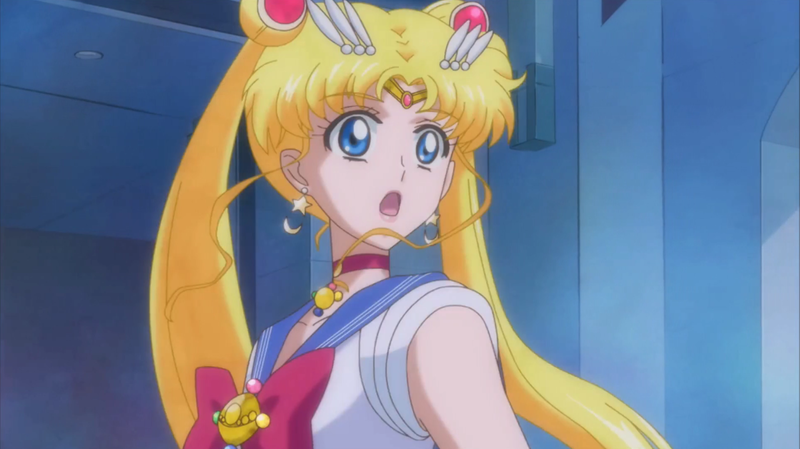 Not only does it contain iconic transformation scenes and flashy costumes, it also features many of the same themes I loved from series like Sailor Moon - an emotional story, a charming and strong female protagonist with a group of girls fighting evil, all with an undertone of friendship mixed in. Since I’m more into games than anime these days, I feel like I can jump deeper into Blue Reflection than I could with a show and although I still enjoy anime from time to time, its why my love of this style translates well into games. In my anime journey, it was series like Sword Art Online and Accel World that helped bring back my interest in anime as they tied in my love of video games. The idea of being trapped inside an RPG as the premise for a show is pretty appealing to someone like myself that likes to explore JRPG worlds in real games and the first series I watched of Sword Art Online explored this idea well, specifically with the way the characters relationships grew throughout. Interestingly, around the time I discovered Sword Art Online was around the time I discovered .Hack//Infection lying around at my boyfriend’s family’s house and it made the game instantly appealing to me. Although timing likely played a part, if I hadn’t enjoyed Sword Art Online’s first series so much, I probably wouldn’t have found the .hack series to be so intriguing and may not have been as interested in .Hack//G.U. Last Recode last year when it came out. Whether it’s in anime or JRPGs, I like the ‘trapped in an RPG world’ trope for what it is and want to check out other shows like Log Horizon when I get time, so whether it’s gaming or anime, I have Sword Art Online to thank as my first true introduction to this kind of story and even though I am nowhere near up to date in its anime now, I’m glad it showed me this interesting story sub-genre. Another essential part of watching anime as a child in the 90s was watching Pokemon and Digimon and eventually playing their games. Pokemon captures a lot JRPG aspects well as a show I enjoyed as a kid - its “Gonna catch 'em all” motto is still one that rings in my mind whenever a group of monsters is available to collect in a game and the show’s episodic nature of journeying gym to gym was always fun to watch. Where Pokemon introduced to me the idea of training monsters and being the very best, Digimon’s plot was one I found more interesting overall even now and its digital world is something I enjoy revisiting in games and want to revisit more in its newer anime additions sometime. 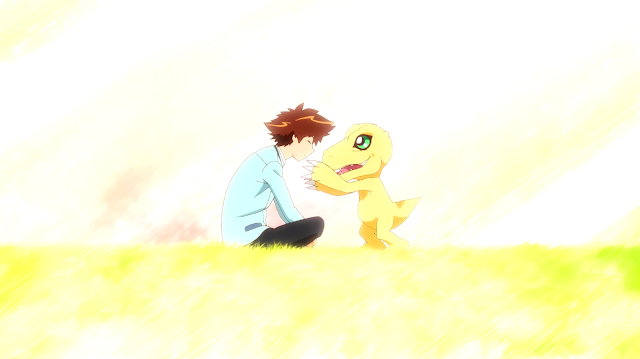 Digimon for me was more about caring for monsters and forming a relationship with them, something that I carry with me into its own games like its Cyber Sleuth series while enjoying the training aspects that I probably honed in Pokemon games as a kid. But the main part I have to thank Pokemon and Digimon for is their games Pokemon Blue and Digimon World respectively that were some of my first JRPGs and thanks to these TV shows from my childhood making me want these games, I have some fun JRPG memories with the two that I can look back on fondly in both series as they continue now. Mirai Nikki or Future Diary was an introduction to the darker side of anime as I got back into it. Before then, my memories of anime were Digimon and Sailor Moon, so the thrilling psychological story and bloody moments in Mirai Nikki were a surprise to me when I first watched it, but really opened my eyes to the kind of stories that could be told through anime. 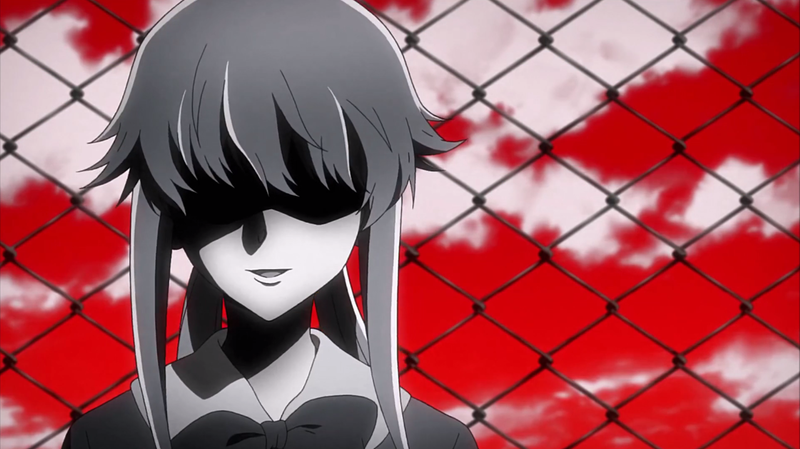 Mirai Nikki was my introduction to the death game or survival genre where usually poor, unsuspecting characters are put into a game that usually results in them having to kill each other and the moral dilemmas of this are something I find oddly fascinating. Mirai Nikki’s use of its cell phone diaries that predicted the future in different ways put against each other made my introduction to this style of story really interesting and I was hooked on it from start to finish and am glad other series like Danganronpa also continue to give me this same kind of story thrill. 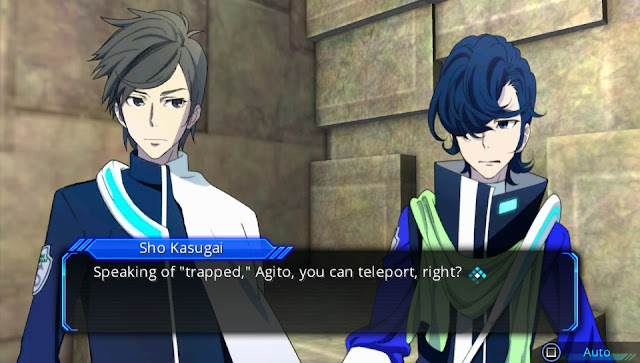 In JRPGs, my interest in the death game style led me to play Lost Dimension when it was suggested to me a couple of years ago and I loved the way it put its own twist on the genre. Having to try figure out the traitors each chapter brought that moral choice into familiar JRPG territory for me and combined with JRPG elements like skill trees and a tactical battle system, it was an enjoyable experience that I wouldn’t have discovered without Mirai Nikki giving me an introduction to the genre. As much as I love my favourite characters to live in most JRPGs I play, I would gladly play another JRPG version of this kind of fascinating story style when another comes out in JRPG form. You can pick up most of these games and anime on Amazon! What are some of your favourite anime? Did they lead you to different story styles (eg. ones in JRPGs)?